The Automation and Robotics setup represents a kind of automation setup (e.g. conveyer, assembly line) where sensors and actuators control a programmed operation. In real applications for example, the overall process is absolutely time critical and requires that the individual steps do not experience any delays. PRP as a high availability protocol achieves this requirement. The Parallel Redundancy Protocol (PRP) is a standardized redundancy protocol which - compared to traditional redudancy protocols - reveals no recovery time at all. That means in case of a network failure no packets are lost. The protocol is based on two so called RedBoxes (Redundancy Box) which duplicate each packet and transmit them over two independent LANs. 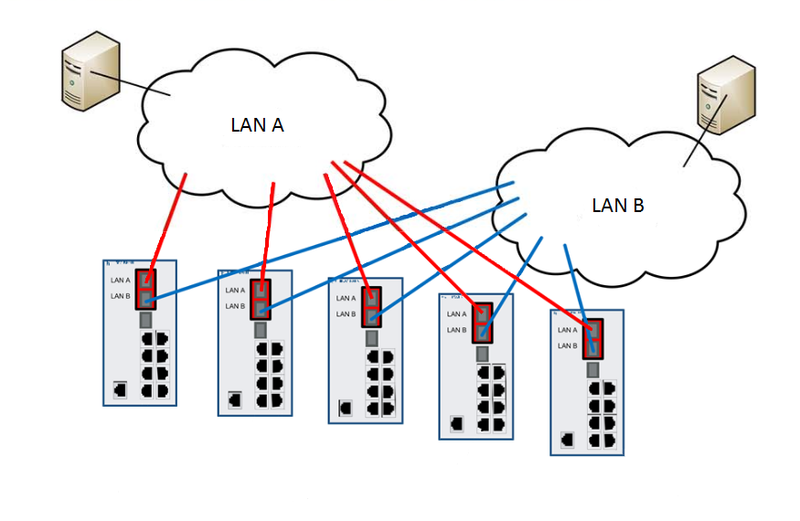 Once a network failure occurs (in one of the two LANs) the duplicated packet still reaches the destination. 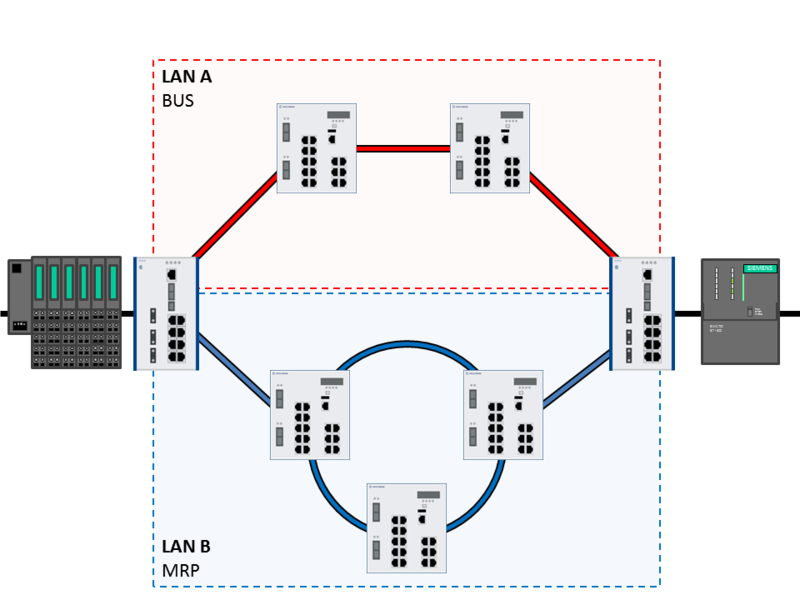 The separated LANs can consist of any topology running different other protocols what makes PRP compatible with most network protocols. This feature is only available on RSP and OpenBAT, and at the moment allows bandwidths of 100 Mbit/s. The wireless products 'OpenBAT' even offer the possibility to run PRP over wireless links. For the PRP demonstration there is a soccer application in the lab. A controller (PLC) and an I/O-module control a miniature soccer game where different pneumatic components shoot a ball into a goal and carry it back to its initial position. Hit ratio is 50% to keep things exciting. As long as the controller and the I/O-module are connected via PRP this automation will keep running smoothly even if various links are consecutively disconnected. If controller and I/O-module communicate over a traditional MRP ring a network fault can be caused easily by disconnecting one of the links.